These naturally scented lemon DIY solid salt scrub donuts are a great way to exfoliate and moisturize your skin for summer! Plus they’re so easy to make! Grab a friend and make this delightful project over the weekend! 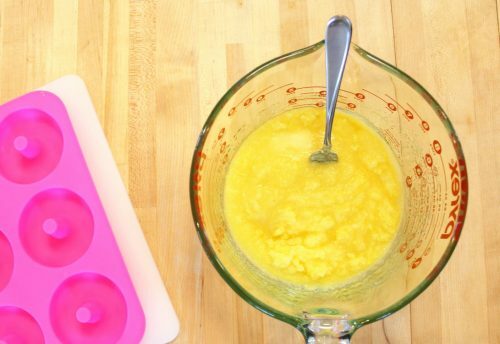 I used 5-fold lemon essential oil to give my DIY solid salt scrub donuts a strong lemon fragrance. Commonly used in skin care to help reduce pigmentation, dark spots, tanning or melasma, lemon essential oil is also great for things like, well body acne. All of that aside, lemon just smells great! It’s fresh and invigorating! However, you don’t want to go out in the sun right after using this product. So remember to cover up and use SPF to protect your skin or try another essential oil. 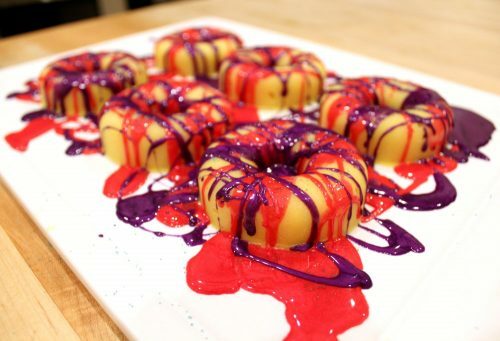 Lavender donuts, anyone? 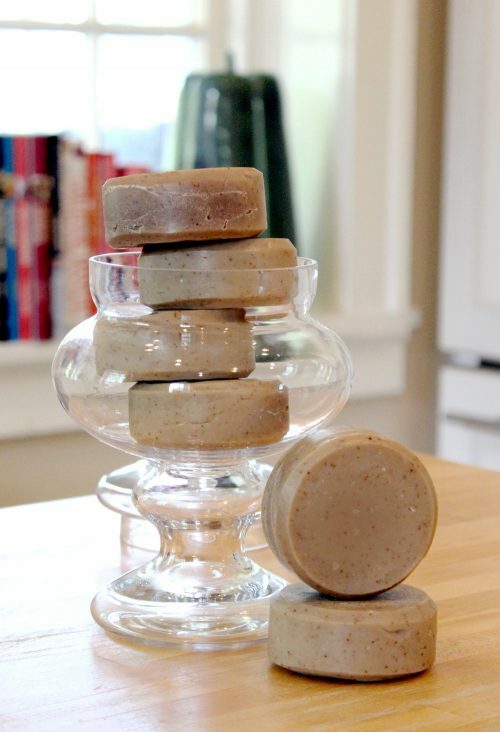 Using a digital scale, begin by weighing out the babassu oil, cocoa butter, and emulsifying wax. Heat in a microwave at 40-50% power until melted. Alternately, you can also use a double boiler. In a separate container, weigh out the sea salt. Add about 1/4 – 1/2 teaspoon yellow mica powder of your choice and stir into the salt with a fork. Now combine the dry ingredients with the wet ingredients and mix well. Allow the mixture to cool further. 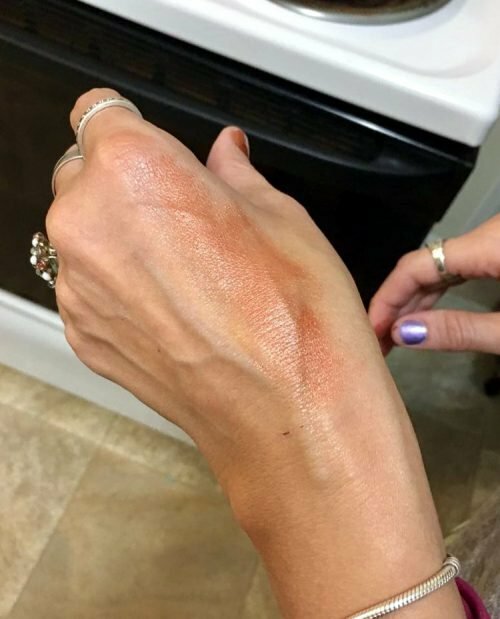 If oil settles on the top, mix it back into the salt scrub. When oil is no longer settling on the top, but prior to the mixture hardening, fill a donut mold with the solid salt scrub mixture. It should fill all six cavities in one silicone donut mold. Allow the salt scrub to harden fully. 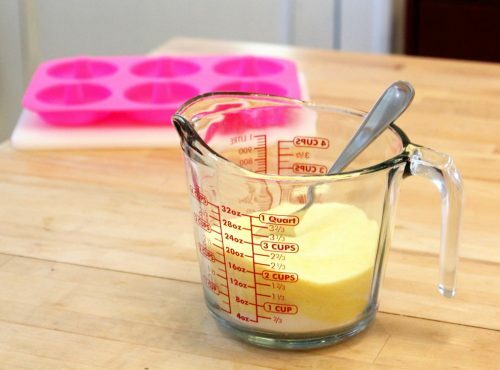 You can speed up this process by placing your mold in the refrigerator. 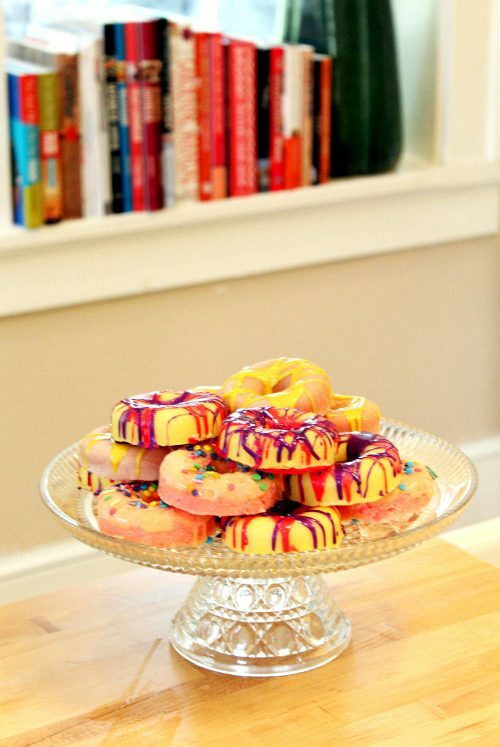 Once your solid salt scrub donuts have hardened, gently remove them from the mold and place onto a cutting board. 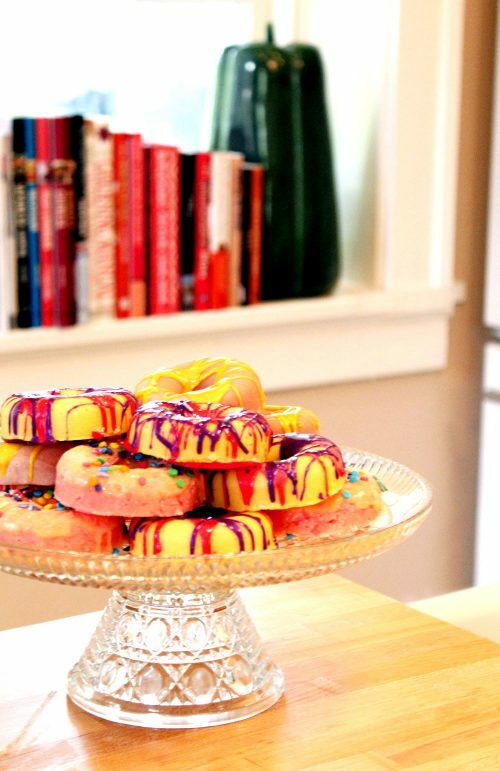 Allow the solid salt scrub donuts to reach room temperature. 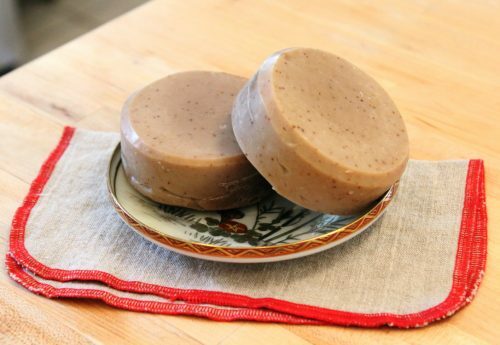 Allow the soap to cool but not solidify. 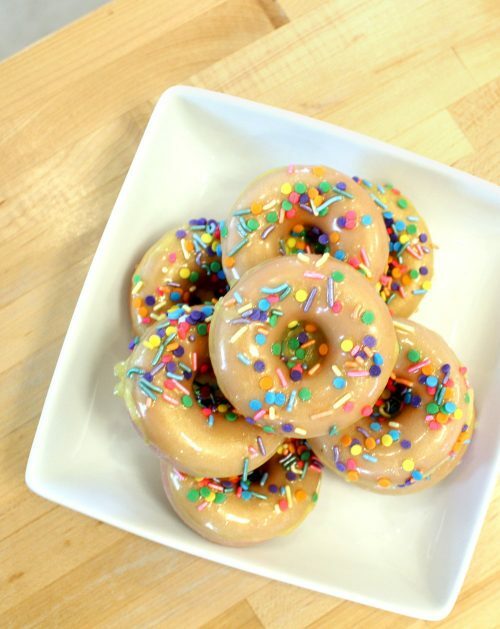 Then drizzle the soap across the solid salt scrub donuts as desired. 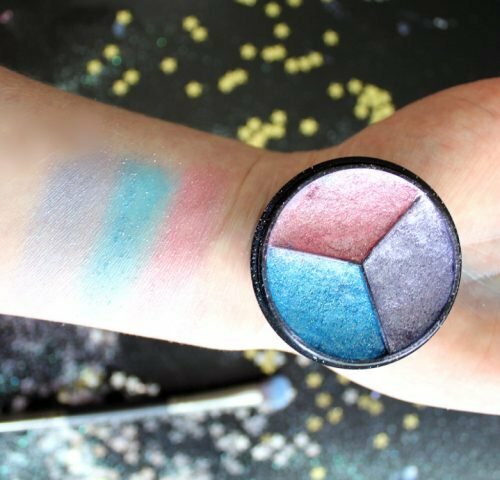 Mix a second color – I chose purple – of clear melt and pour soap base and mica powder. Drizzle it across the solid salt scrub donuts as desired. 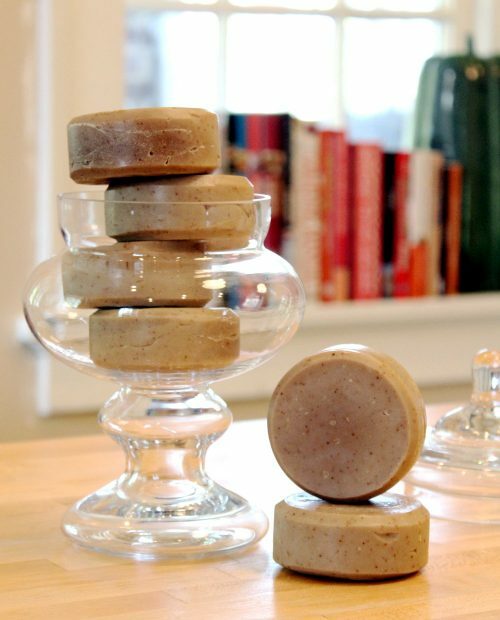 You can also add other elements to the soap before it hardens such as jojoba spheres or candy sprinkles. 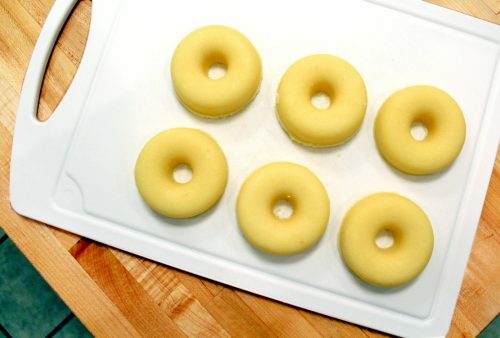 Once the soap icing has cooled and fully solidified, use a sharp knife to gently remove the solid salt scrub donuts from the cutting board by running it under the donuts. Trim off any excess soap from the edges. 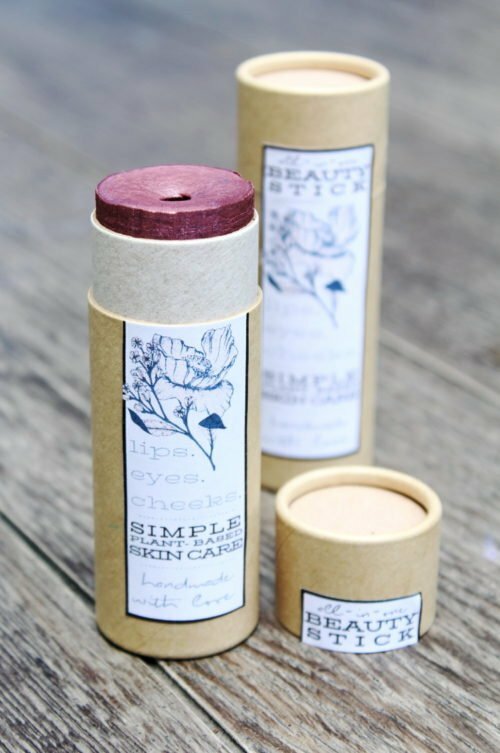 Now wrap your solid salt scrub donuts tightly in foodservice film and label as desired for gifting or personal use. To use simply break a chunk off a donut and massage it onto wet skin in the shower or bath. Then rinse off and pat dry. Please note that this recipe is very temperature sensitive and melts with body heat. Because of this, it should be kept in a climate controlled environment. In addition, be sure to keep your solid salt scrub donuts out of water and in a cool, dry location when not in use to extend their life. 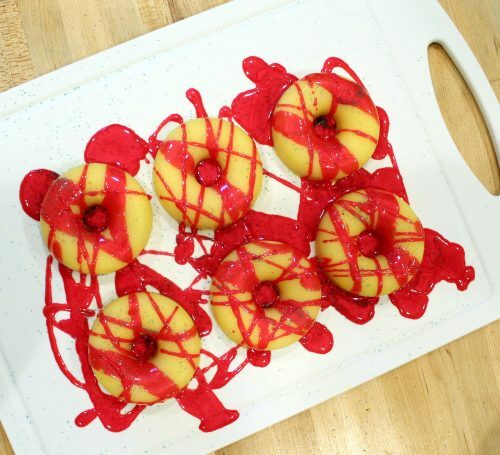 If you like my solid salt scrub donuts recipe, then you may also like my DIY Donut Soaps! 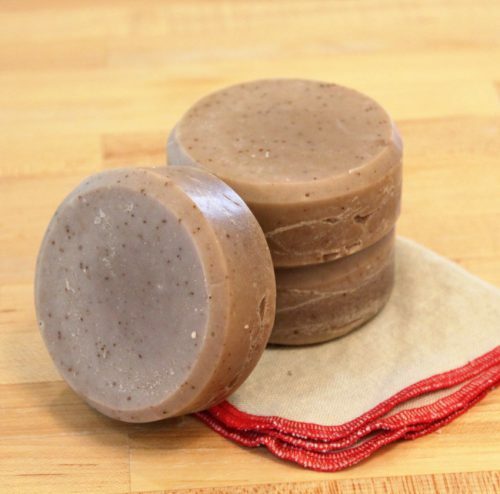 Crafted using the cold process soapmaking method, my DIY donut soaps are formulated to be high conditioning/low cleansing bars. 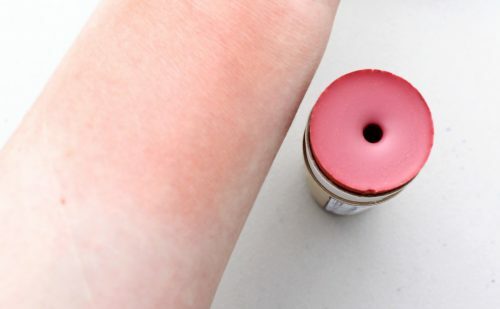 They’re naturally colored with rose kaolin clay to mimic a “baked” pink donut and also contain watermelon fruit extract powder which is high in vitamin C and and amino acids that can help to promote rejuvenated looking skin. 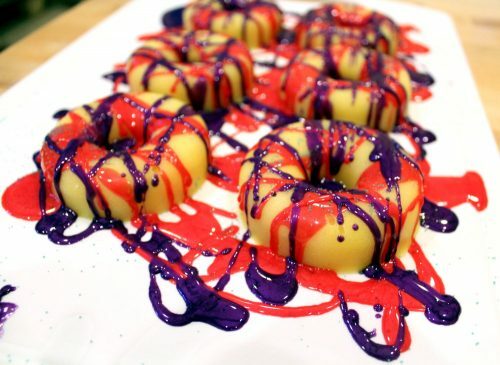 You can find the recipe to make my donut soaps here. If you are making my lemon scented solid salt scrub donuts to sell, then you’ll need be to label them according to FDA guidelines. Not sure how to label your creations? I highly recommend the book, Soap and Cosmetic Labeling: How to Follow the Rules and Regs Explained in Plain English, by Marie Gale. For even more of my bath and body recipes and tutorials, be sure to follow my DIY Bath and Body Pinterest board. You can also find and follow me on G+, Tumblr, Facebook, Twitter, Blog Lovin’, and Instagram. Or sign up to receive new posts from Soap Deli News blog to your email via FeedBurner so you never miss a post. Don’t let bugs ruin your summer fun! 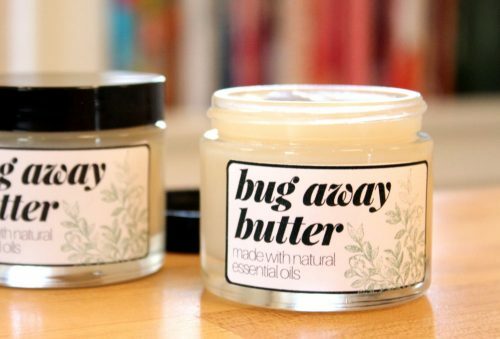 Repel mosquitoes and deer ticks with this non-greasy insect repellent body butter recipe made with natural essential oils! 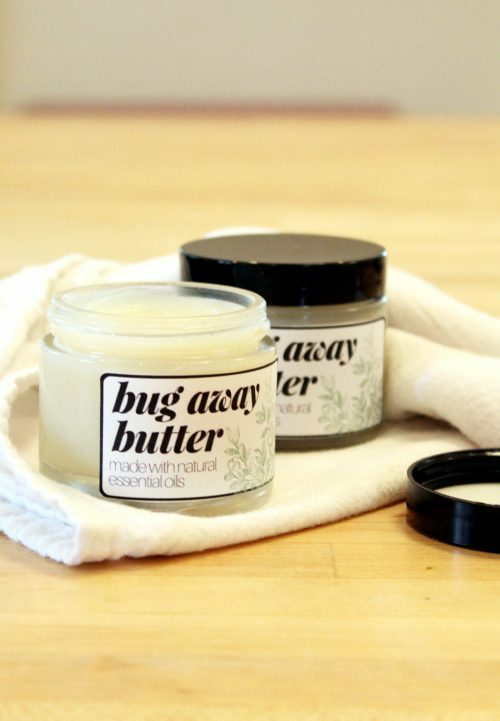 This insect repellent body butter is crafted with a blend of natural essential oils including lemon eucalyptus essential oil which have been shown to not only repel biting insects, but deer ticks as well. Lemon eucalyptus essential oil has been shown to be effective in preventing mosquito bites and is a common ingredient in some commercial mosquito repellents. According to WebMD, when applying a specific 30% lemon eucalyptus oil extract called Citriodiol three times daily you can also significantly decrease the number of tick attachments if you live in tick-infested area. (Learn what Citriodiol is here.) This extract is used in commercial products such as Mosi-guard and Repel Oil of Lemon Eucalyptus. For my insect repellent body butter recipe, I use lemon eucalyptus essential oil at just under 5% – the maximum for a skin safe application. 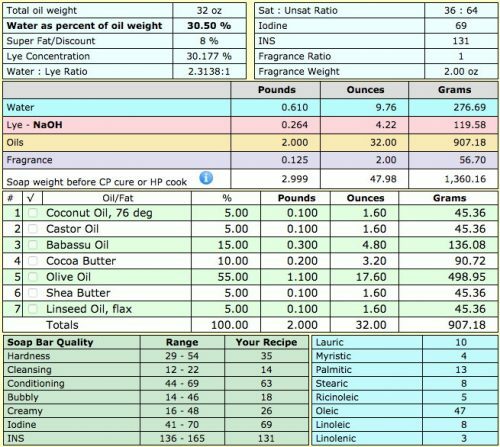 You will need a digital scale to weigh the ingredients for my insect repellent body butter recipe. Additionally, substitutions can be made for this recipe. While I have not tested substitutions for this formula, these are my closest approximations that I believe would work. Babassu oil and camellia oil were chosen not only for their benefits to skin, but also because they don’t feel oily or greasy when used in cosmetic applications. Babassu oil has a slightly higher melt point than regular coconut oil, however refined coconut oil can be substituted if desired. You will need to increase the amount of wax used, however, to compensate for the difference in the melt point. Fractionated coconut oil can be used in place of the camellia oil. In addition, the shea butter can be subbed with sal butter or mango butter and the cocoa butter with another hard butter like kokum butter. The isopropyl myristate can be substituted with Cyclomethicone. Both of these products keep the end product from feeling greasy. Alternately, it can be omitted entirely. This is a soft butter and may not remain in solid form in hot areas or outside of a temperature controlled environment. 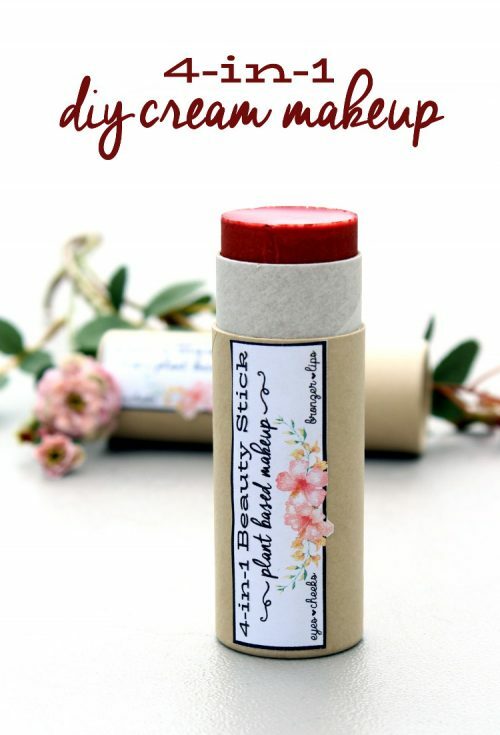 In this case I recommend increasing the emulsifying wax as needed – I chose to use emulsifying wax as it also keeps the insect repellent body butter from feeling greasy on skin as well – or substitute it with beeswax for an end product closer to a salve. You can also try 1/2 the amount of wax called for in the recipe with carnauba wax, which is vegan. 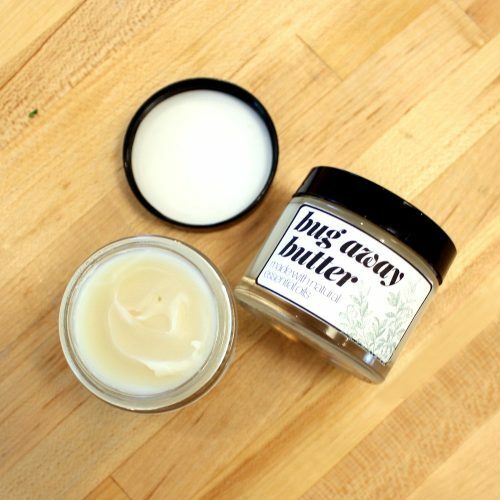 In addition you can also keep my insect repellent body butter recipe as is and try adding .05 oz. of arrowroot powder. To make this insect repellent body butter, begin by weighing out the emulsifying wax, babassu oil, shea butter and cocoa butter. Heat in the microwave at 40-50% power until melted or melt in a double boiler. Remove from heat and allow to cool slightly. 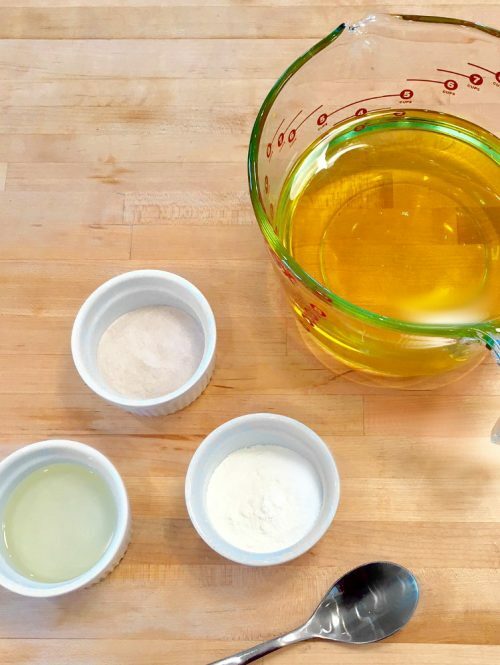 Weigh out the carrier oils and stir into the melted wax and butters. Next weigh out the isopropyl myristate and stir into the insect repellent body butter mixture. Now weigh out the lemon eucalyptus essential oil and mix into your melted product. Using a dropper, follow with the remaining essential oils. Mix well. Allow to cool completely, then screw on the lids. 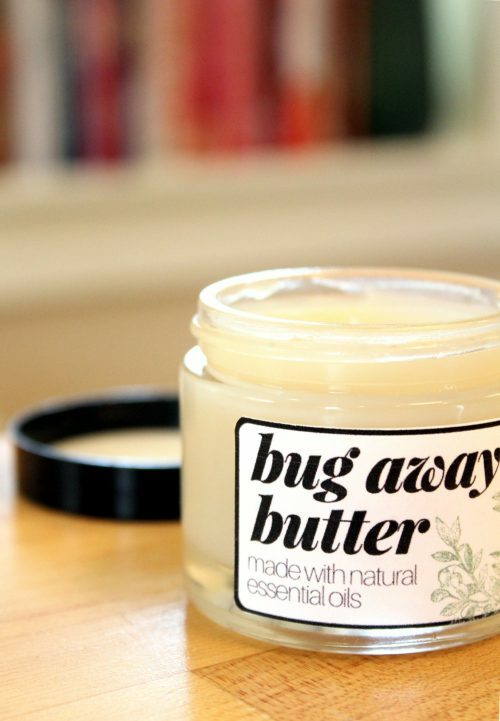 You can place your insect repellent body butter in the fridge to speed up the cooling process. 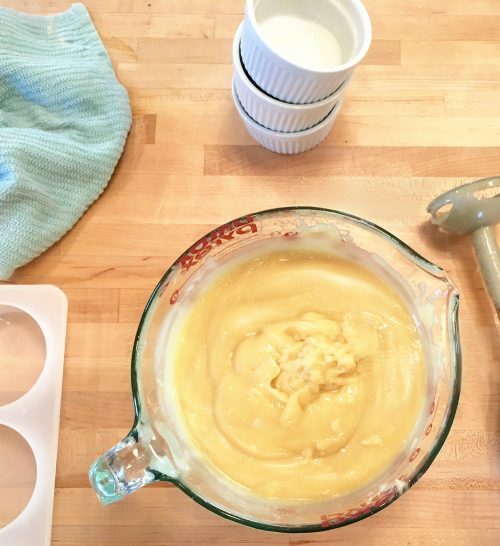 As this recipe yields a soft, velvety butter it may take 24-48 hours to fully solidify and reach its final consistency. 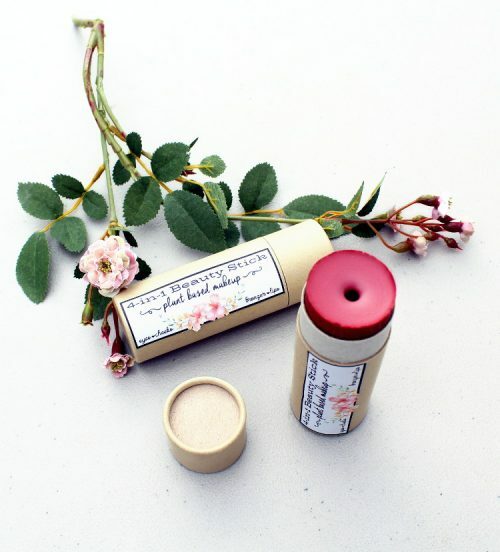 To use apply the insect repellent body butter to exposed areas of skin and massage in. This body butter smells really strong at first, but the scent will mellow after about 5-10 minutes. Reapply every few hours as needed to aid in repelling biting insects. 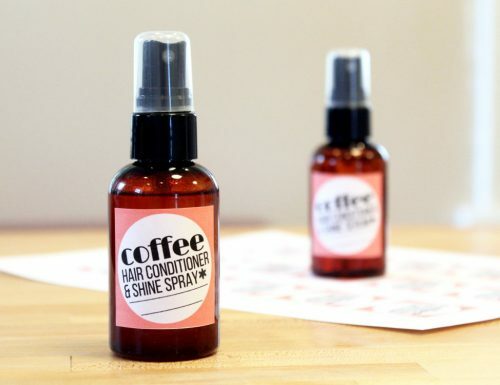 To learn more about babassu oil and camellia oil and for more recipes you can use these ingredients in, be sure to check out my Leave In Coffee Hair Conditioner & Shine Spray Recipes. 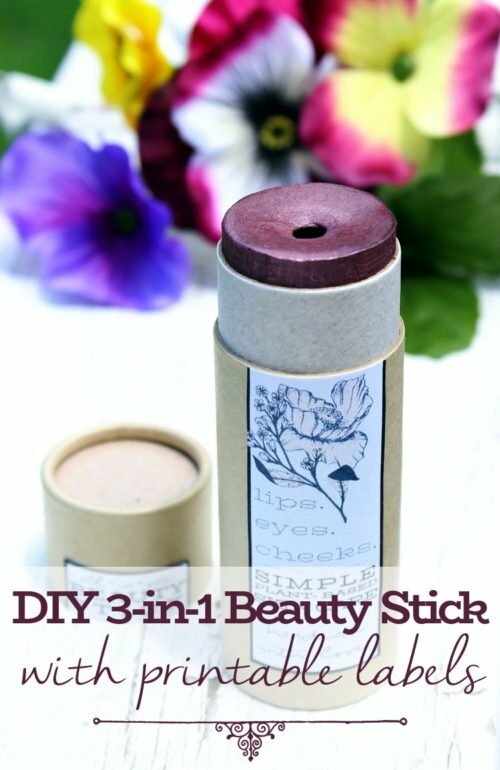 You can also follow my boards on Pinterest for even more great skincare recipes and beauty DIY’s. If you’re looking to buy a natural insect repellent you may like this organic lemongrass citronella insect repellent spray from Pure Palette. 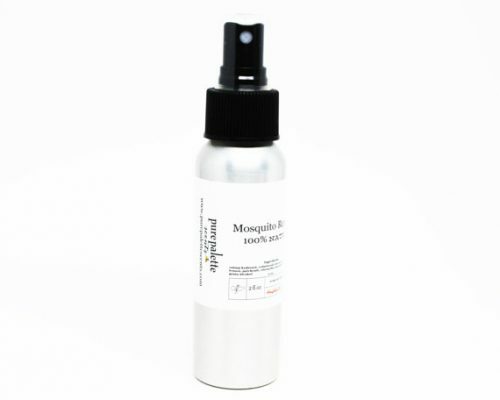 This natural insect and mosquito repellent spray contains a blend of lemongrass, lavender, cedarwood, eucalyptus, citronella, patchouli and catnip essential oils. 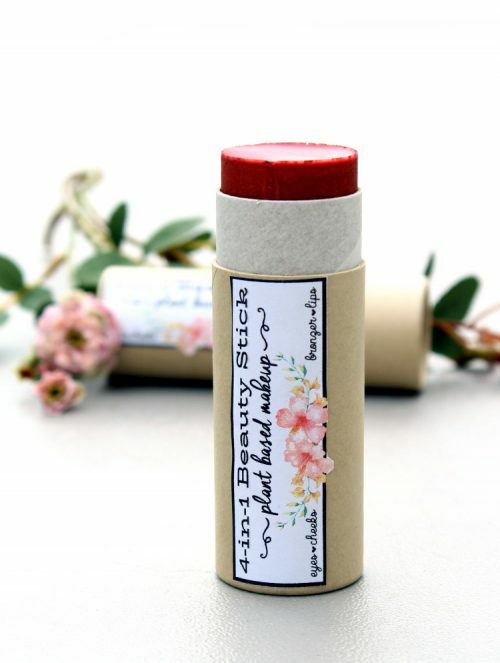 It is 100% natural, hand blended in a small batches, DEET Free and has a wonderful fresh, clean scent. It repels mosquitoes and many other bugs including No See Um. You can buy it online here. Pure Palette also sells hand poured citronella outdoor candles to help deter biting insects when you’re enjoying time outdoors on your patio or deck. I just bought three of these for an upcoming cookout I’m hosting in May. You can purchase them here. 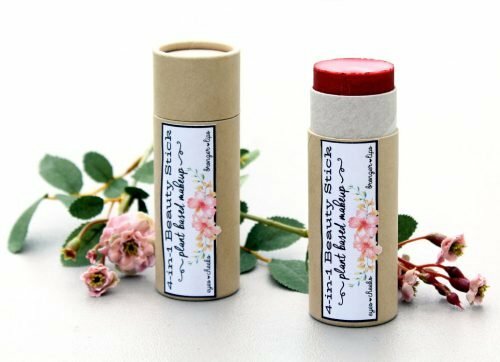 You may also be interested in the organic insect repellent stick with lemon eucalyptus essential oil from SunnyBrae Buzz. It’s formulated with essential oils that are known to repel mosquitoes, ticks, gnats, and flies and also comes in three formulations – for babies 6 months to 23 months, for kids 2 years to 15 years and for ages 16 to adult. You can buy it online here. 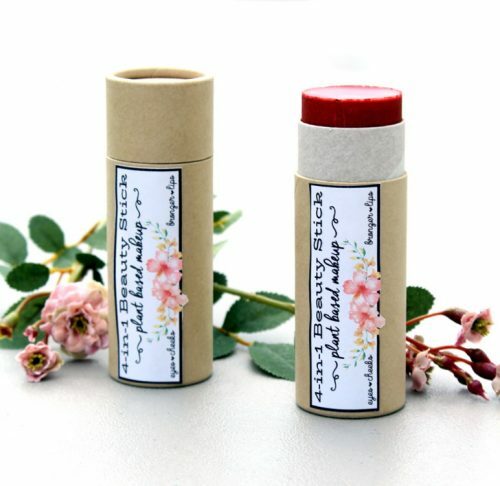 Additionally, Turtle Moon Health also sells a non-greasy, natural insect repellent spray with lemon eucalyptus essential oil called Nature’s Cloak Mosquite & Tick Repellent. 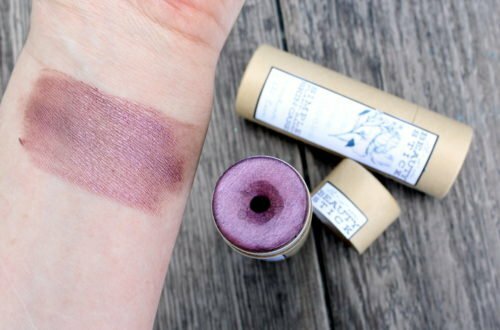 It’s non-staining and kid friendly! You can buy it online here. Want more? You can find and follow me on G+, Tumblr, Facebook, Twitter, Blog Lovin’, and Instagram. Or sign up to receive new posts to your email via FeedBurner so you never miss a post.